Are you a small business and need to get started into the digital world? 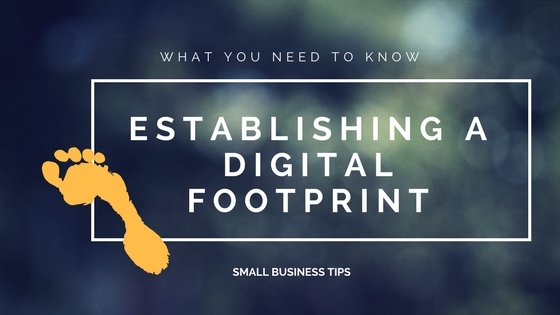 You might be asking, “…But how do I start that digital footprint?” True, it might be easier to do it wrong than right, but here is some guidance to get you started on the right foot. We, at SkyWest Media, believe in the “right” direction and that foundation is everything. TIP 1 Website: Focus on having a well-designed website that is modern, updated often, mobile friendly, has a solid-engaging landing page. Tell a story visually. Recognize the critical importance of having quality video and static images. Use key words for finding your business on your landing page. Utilize keywords (1-2 words), but also long-tail keywords (phrases 3 words or longer). To see what search keywords are trending and compare keywords, go to Google Trends. Contact and Business Information: Make sure you have your full contact information and hours of operation on your website…and more than just a “fillable” form that someone has to complete to have you contact them. TIP 2 Social Media: Utilize social media platforms and get your product in front of the identified target audience. 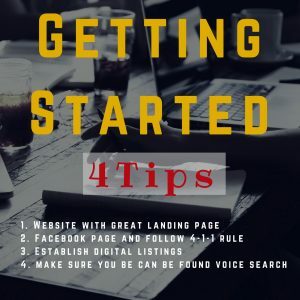 Getting started suggestion—start with Facebook, then if desired also include other platforms, but Facebook is the most important and you don’t have to be on all the channels. One good channel is far better than being on three or more and not have the branding and image maintained correctly. 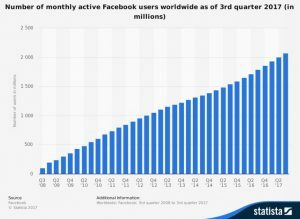 The following research and graph by Statista illustrates the significant presence of Facebook. Then using Facebook, follow the 4-1-1 Social Media posting rule. Focus on content marketing strategies that provide “value” to your consumers, not just push a product onto them. What this means is out of every six posts, four of the posts should be about one type of content (such as educational or entertaining, content that is new and interesting), one post will be a soft promotion (news, event happening, or shared content, un-gated content), and one post can be a hard promotion with a call-to-action (contest, self-serving post). Use video to tell a story—customer testimonials, product demonstration videos, video behind the scenes, tutorial videos, event videos, thought leader videos, etc. Depending on the industry and type of video content, video can increase conversion 200% to 1500%. Note that organic reach on Facebook has diminished. Research from several sources report organic reach can be as low as 2% to 10%. It does not work to just post and hope someone reads it. Paid Facebook advertising is very important, but again, with your message-Tell a story. At least, “boost” your post to a defined target market. Better yet, create Facebook ads and utilize this expanding opportunity to reach consumers for minimal cost in most cases. TIP 4 Voice Search: According to Google, in 2016, 20% of all mobile queries were voice searches. This year has seen skyrocketing growth as well, especially fueled by companies now entering the smart speaker space. Be sure to set-up Siri to find your business. This is easily done through mapsconnect.apple.com. Here is a source that will help you with links to claiming your listings and also Siri. 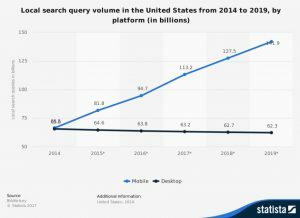 https://www.websolutions.com/Blog/siri-find-my-business/ Don’t forget about Alexa, Google Assistant, Cortana—all addition voice search platforms.